Badger Pass Area Renovation Schematic design for this historic ski area including a extensive rehabilitation of the original 1935 ski lodge, new ski rental program facilities, and new retail space. Curry Village Employee Housing Curry Village will provide housing for over 200 park employees in 180 living units in four different floor plans with associated parking, an employee wellness center, management offices and storage. Our mechanical design features an energy-efficient ground-source heat-pump system with the ground field buried beneath the parking lot. This system limits visual and environmental impacts while meeting the owner’s goals for higher quality housing for its staff. The ground-source heat pumps operate without ozone-depleting refrigerants, and provide individual temperature control in each apartment. This system eliminates the need for unsightly and noisy outdoor equipment, such as cooling towers and roof-top units, in this environmentally sensitive locale. It also provides space heating without the use of propane as a heating source, thereby eliminating the need for large propane tanks. 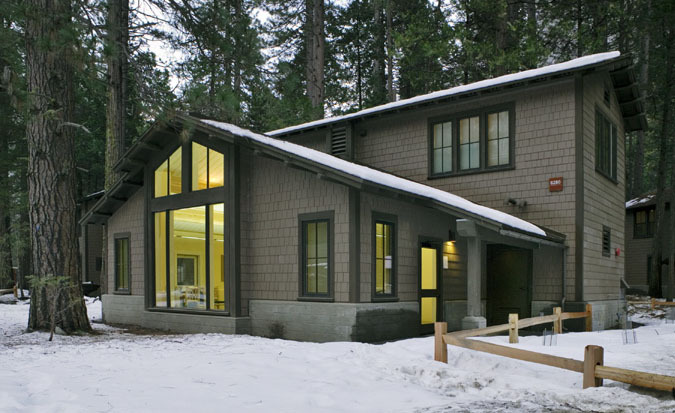 Our energy analysis resulted in a design that is 31% below California’s 2001 energy code and qualified for a $40,000 owner’s incentive under the utility company’s Savings By Design program. 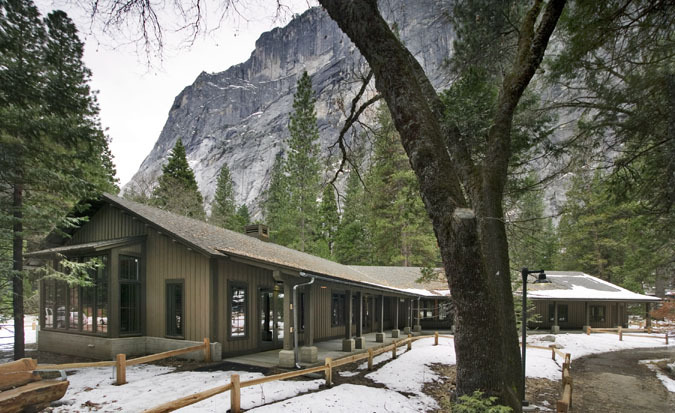 Ahwahnee Hotel Design for roof snowmelt system for this historic hotel. The system incorporated hot-water piping integrated into the gutters and vertical rainwater leaders to prevent the formation of icicles, which were a falling hazard. 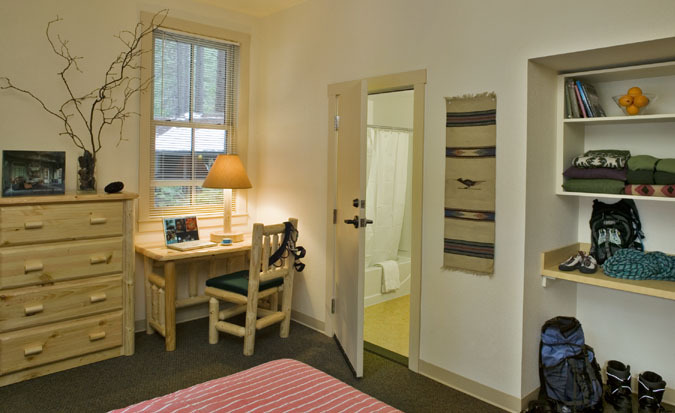 Additional projects include Curry Village Cabins and Registration Building, and the Upper Pines Campground Restrooms.